As a Printer in Belfast, the competition for business is fierce. Honestly it feels like there’s a new printing company in Belfast every week. Conversely it feels like another goes under every week too. As a trade we work tirelessly together using each others strengths to ensure our customers get the best value and best quality printing available. We feel we differentiate ourselves on service and while we don’t always get it right, we strive to provide the absolute best customer service, value for money and high qaulity printing around. Not just in Belfast, but all around Ireland including: Dublin, Newry, Coleraine and Galway. We don’t ask you to take our word for it, but do take our customer reviews serously. These are people who have gone out of their way to say nice things about to give us business. We couldn’t do this without them, so thank you to you all. 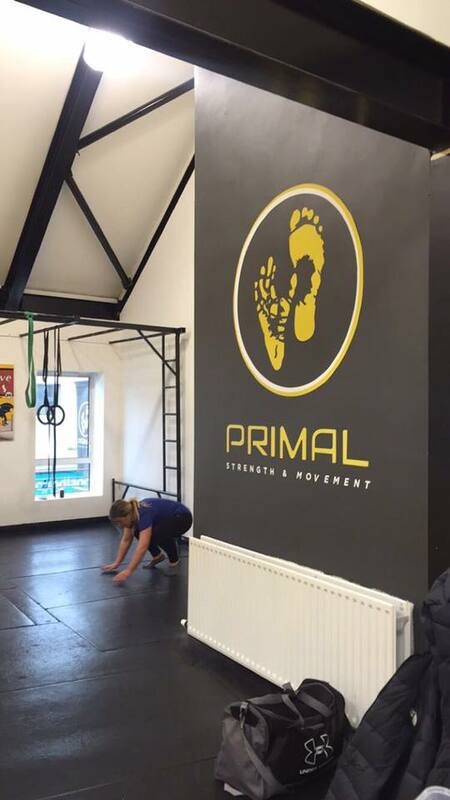 Laura recently helped launch Primal Strength and Movement in Lisburn. This fucntional movement gym (similar to a Crossfit box) focuses on strength and agility. We helped the team create a huge 1.3m circular plotted vinyl logo to take pride of place on the gym wall. We weren’t happy how things were going to look with the intricacy of the features. After a little design intervention, we came to a final product and as you can see below, the result is a huge impact piece on the wall of the gym. We’re happy, the clients’ happy. Everyone’s happy!